We'd like to meet with you to explain how our products can solve your unique structural issue. To prepare a free foundation repair quote, we inspect your damaged areas, identify the causes, and create a written proposal that outlines all work to be done. If you live in Southern MN, Northeast IA & Western WI and would like to schedule your free foundation inspection and quote, call or e-mail us today! 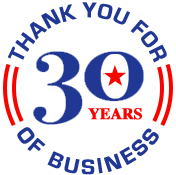 At American Waterworks, we have exclusive access to Supportworks' industry-leading structural repair products in our Minnesota, Iowa, and Wisconsin service area. We're proud to serve Rochester, Minneapolis, Saint Paul, nearby localities such as Mason City, La Crosse, Eau Claire, Zumbrota, Oronoco, Maple Grove, Eden Prairie, and the surrounding areas. 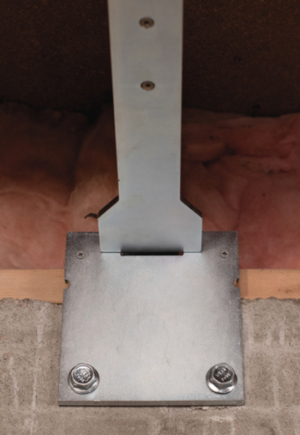 WallDefense™ brackets offer a permanent solution for stabilizing poured concrete foundation walls. The steel brackets attach the top of the wall to the floor joists to prevent wall movement, including tipping. WallDefense protects foundation walls even if there's an increase in the pressure or load on the wall. WallDefense™ straps protect block foundation walls from inward movement and bowing. The carbon-fiber reinforced polymer straps are stronger than steel, adding strength without bulk. The low-profile design of WallDefense straps won't affect your basement finishing project.